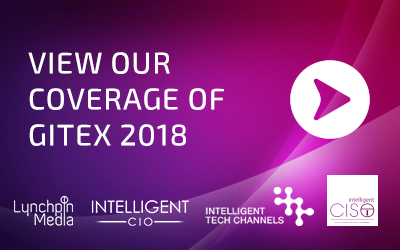 Regional Channel Chief profile feature: Feras Masoud, Regional Channel Manager (META) at Infoblox. My current job role is Regional Channel Manager for Middle East and Africa at Infoblox. The main challenges in this role is the size of the region which covers around 10 focused countries and about 10 high touch countries with over 100 partners. Customer and partner needs are different between these countries, regulation rules and logistics are also different, and the economic situation is totally different across these countries. One of my most memorable achievements was back during my early days with Polycom when I was the first Channel Manager across the Middle East region and in one year, I managed to build a solid channel foundation for the company along with my colleagues. The very next year at Polycom I achieved the CEO Circle of Excellence Award and was selected as the best Channel Manager across Polycom EMEA team and travelled to Hawaii to receive my award along with my spouse. Since my early days at school I was very good at maths and physics and always had this dream of wanting to be a computer engineer in order to build my own desktop computer. I completed my computer engineering degree during the era of networking and got the opportunity to start my career as a network engineer. I’m a big believer in team work and keeping the morale of the team very high. I am not a micro manager. I trust my team to do the tasks assigned to them. However, they know that my door is always open in case they need my help. What is your style as a team leader? Each great achievement starts with proper planning, but to make sure the plans are going well I need to have a proper mechanism of follow up within my team and my partners across the region. I like to plan well and delegate tasks to others and share the success between all team members. Trust is very important between team members but to be able to trust people I need to ensure that I select the right team members having great work ethics. All of these are trends as you can see is around data. As a result of which, most large organisations have started to introduce a new position which is Chief Data Officer (CDO) just to address these challenges. I’m a family person so after work I like to spend my time with my wife and kids, although I do find some time for friends as well. By spending quality time with my family, and by taking care of my health where I try as much as possible to do some sports along with my kids whenever I can. Achieving the assigned business target, developing the partners across the region and aligning well with my managers and my colleagues provides me great job satisfaction. Sports in general, but I like playing football and we as family love fishing.